Experienced riders know that, for a good tour, the right clothing is just as crucial as technical skill. 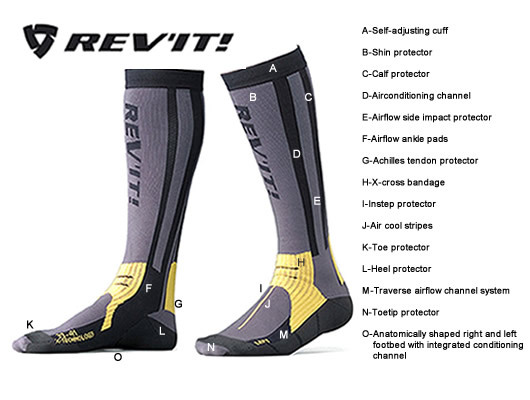 Dry, comfortable feet help you perform better. 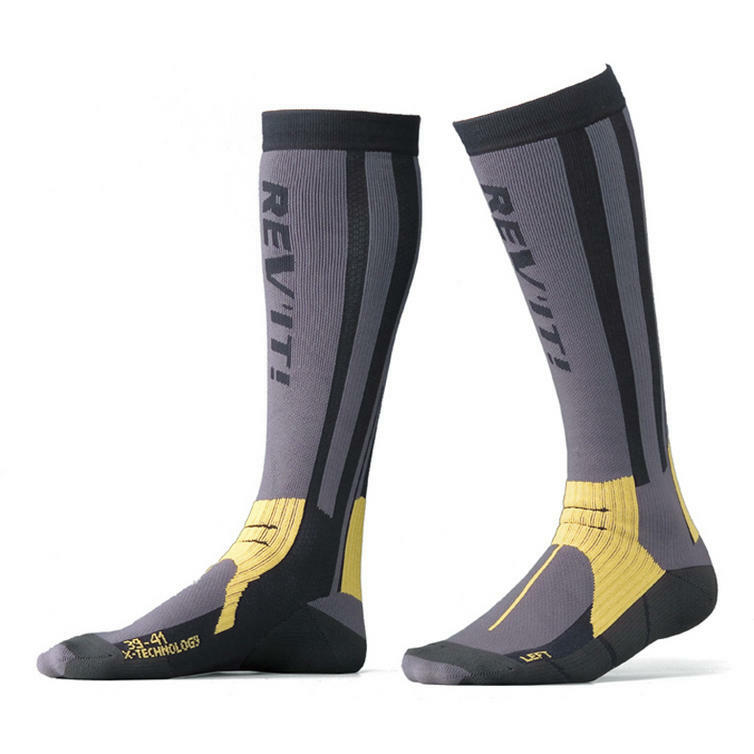 The Air conditioning Channel of the Rev'It Tour Summer Motorcycle Sock is climate control for your feet, actively and continuously regulating excess heat and moisture. This provides effective protection against moisture and temperature extremes, for both hot and cold environments. Do not miss out, get yours from Ghostbikes.com now! Ghost Bikes now stock a full range of Rev'It Motorcycle Clothing Please click here to see what's currently available. The Rev-It Tour Summer Motorbike Socks are currently available in the colours shown in the images above.